What story will South Africa’s latest crime stats tell? The South African Police Service (SAPS) is due to release the annual crime statistics in the next two weeks. These figures provide a useful indication of the country’s crime problem but don’t reflect the full reality of the challenge to public safety. Other sources – like victim surveys – reveal a situation which is far grimmer than what the police statistics show. Police statistics for the first three quarters of this year show that incidents of robbery increased by 6% compared to the same period last year. This is the fifth consecutive year that robbery has gone up. Murder (the most reliable police crime statistic), stabilised during this period after five years of increases. But a drop of less than 1% in the murder rate doesn’t offset the 20% increase in murder in the five years since 2011. The SAPS records over 2.1 million crimes every year – 86% of which are classified as ‘serious’. However, a large proportion of crime is not reported to the police. The National Victims of Crime Survey (NVoCS) conducted by Stats SA measures how many victims reported crimes to the police. Findings show that reporting rates vary dramatically depending on the crime type. In 2015-16 for example, 95% of people who knew of a murder reported it to the police compared to only 17% who were victims of crop theft. The surveys also show that reporting rates for specific crimes remain largely consistent over time. What is worrying however is that for some types of crime, fewer victims are now reporting to the police. The recently released 2016-17 NVoCS found that reporting rates for house robbery fell from 66% to 57% in the past year. And in the case of housebreaking, reporting rates decreased from 53% to 51%. Decreasing levels of trust in the police and courts could explain this trend. In the 2016-17 survey, less than three in five households (57%) were satisfied with their local police. This is a 7% decline in satisfaction with the police over the past five years. To make matters worse, the problem is not only with falling reporting rates on the part of victims, but also with the way police record crimes that the public report to them. In 2015-16, the NVoCS estimated that there may well be at least 40% more incidents of housebreaking and at least four and a half times more home robberies reported to the SAPS than what is recorded by the police. This means that instead of the 253 761 cases of housebreaking recorded by police, the actual number could be at least 346 254. And in the case of home robbery, the survey suggests that at least 92 456 robberies were reported to the police compared to the 20 281 cases recorded by SAPS. This large discrepancy calls into question what we know about the actual extent of these very serious crimes. There are a number of possible reasons for the difference between the police and NVoCS figures. Counting rules and definitions may vary, there may be under-recording by SAPS, and survey or weighting errors and limitations could be a factor. Problems of under-recording by police are not new, and are not limited to South Africa. But police management’s approach to crime statistics as a performance measure can play a decisive role. 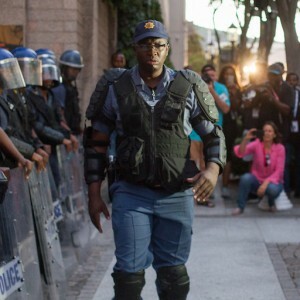 The SAPS rates a police station’s performance largely on its crime statistics. If the numbers go down it’s assumed that the police station is performing well and vice versa. This can create perverse incentives for police officials, who may be disinclined to record crimes that the public report to them. Equally, when police are under pressure to reduce crimes like house robberies, officials may record such incidents as a different crime type. For example, attempted housebreakings and robberies could be recorded as malicious damage to property or trespassing, which are much less serious offences. This could also result in the police deeming the ‘reported crime’ as not serious enough to justify opening a docket. Under-reporting and under-recording of crime have serious consequences. They produce an inaccurate picture of crime which may lead to flawed risk assessments, inappropriate allocation of resources and inadequate crime combating and prevention strategies. South Africa is not unique with regards to inaccurate crime statistics. The United Nations Office on Drugs and Crime recognises that there are problems with crime statistics globally. The upside is that the SAPS is aware of the challenges and is taking action to improve the quality of the crime statistics. In June 2017 a consultative symposium on ‘Crime Classification and Recording Standards’ discussed standardising classifications, definitions, counting rules and recording practices. SAPS’ aims to move towards international crime recording standards and is also reviewing the oversight of crime recording practices at station level. Dr Pali Lehohla, who this month stepped down after 17 years heading up Stats SA, has said that the organisation does not regard the police crime statistics as ‘official’ because they do not yet comply with most of the fundamental principles of statistics released by Stats SA. The organisation is working with the SAPS Crime Registrar to change this. Even so, the police statistics do show that the government’s goal of ensuring that all people in South Africa are safe, and feel safe, by 2030 is not going according to plan. A key element in turning this around is building public confidence in the criminal justice system. And the best place to start will be to appoint professional leadership in all criminal justice departments and stop the damaging political interference that has characterised the current administration. For more on the crime statistics, go to the ISS Crime Hub: https://issafrica.org/crimehub.